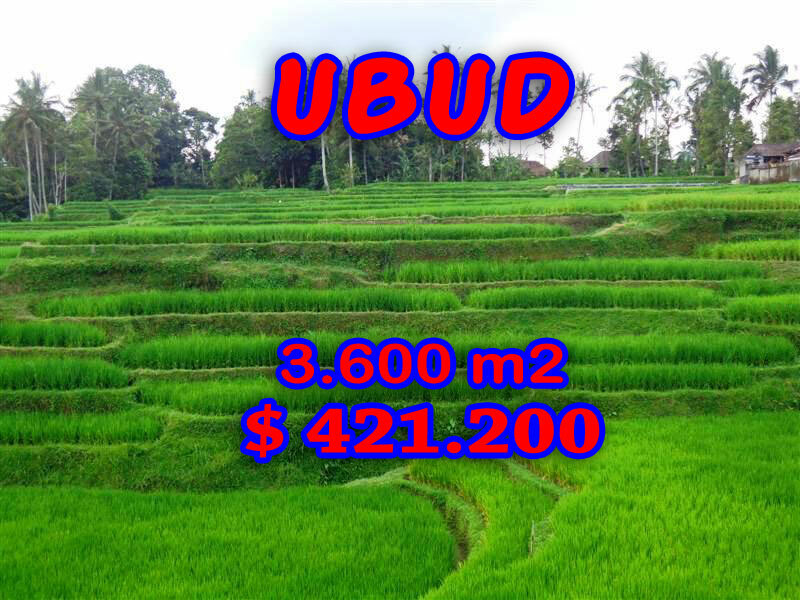 Land for sale in Ubud Bali – TJUB229E. This 36 are land for sale in Ubud is located in Ubud Tegalalang Bali. If you are looking for Land for sale in Ubud, this 3.600 sqm of land might be the right one for you. This 36 Ares ( 3.600 m2 ) of Land for sale in Ubud Featuring Rice paddy view on the river side is situated in Manuaba, 10 minutes to the world heritage Ceking Rice terraced. This affordable River side USD 117 / m2 is suitable for Villa / small Resort. Bellow are the pictures and the features of this Land in Bali for sale 3.600 sqm in Ubud Tegalalang Bali. A special featured property offered by Bali Real Property team, Real honest Bali Property Professionals, legal and competent. Want to book this Land for sale in Bali 36 Ares in Ubud Tegalalang ?